The shorter wingspan of the 4,0 sqm size, 4CE makes it agile and easy to use, especially shorter individuals benefit from the shorter wingspan. 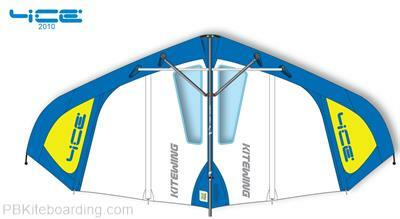 Five battens, just as in the larger wings, make this wing the most stable wing made so far. The movement of the wing is quite predictable even in strong winds. Another factor contributing to stability are the wide wingtips. 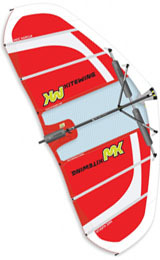 The stability and ease of use of this wing makes it the ideal wing for beginners and smaller riders, but also for more skilled and heavier riders in strong winds. 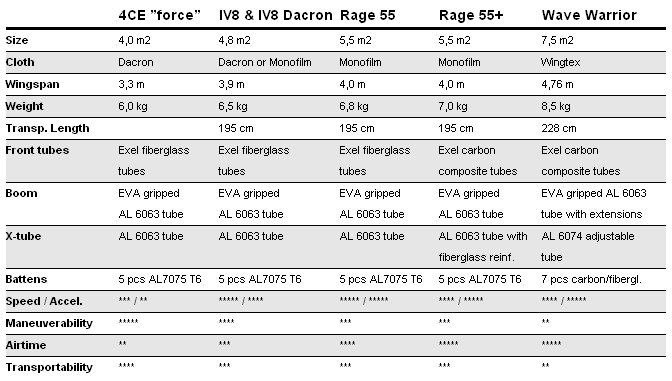 The dacron sailcloth is resistant and care free, for maximum ease of use.